MUMBAI — They say that human memory tends to shut out trauma. But the pain caused by the attack 10 years ago on Mumbai will always be difficult to forget. What happened on November 26, 2008 was an act of pure terrorism: Defenseless civilians sought out and gunned down over three days in the glare of national television. For this reason, the "26/11" incident has been a watershed in India's attitudes towards terrorism. It hardened the country's attitude towards terrorists and militants of all stripes. Further, it has made any kind of a dialogue process with Islamabad difficult, given how the authorities there have dragged their feet in providing justice to the 157 killed and 600 injured on those terrible days. The fact that the attack was planned and executed by a Pakistan-based terrorist group is accepted even by the authorities in that country. The official narrative in Pakistan is that these were "non-state actors." But given the wealth of evidence about the meticulous planning of 26/11, it is difficult to believe the attack did not have some kind of official sanction. 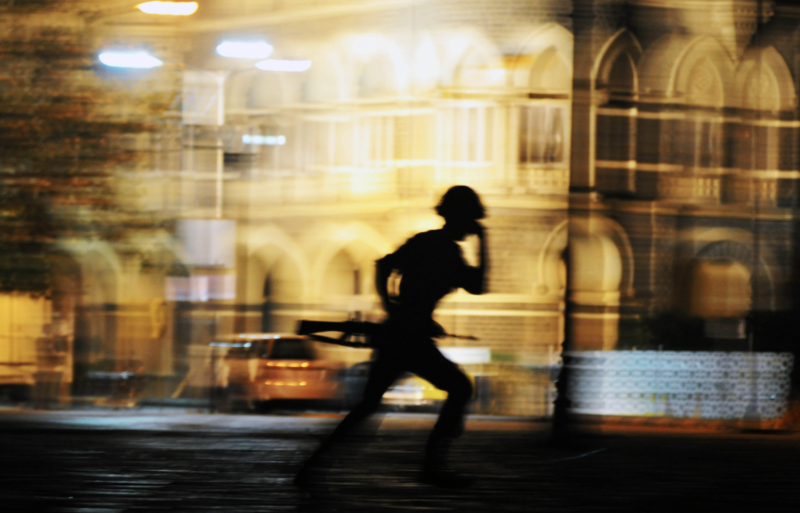 Ten years on, India has learned some valuable lessons from 26/11, yet it is hard to be sanguine about the country's ability to deal with future threats. For one, the terrorist groups operating on the other side of the border have also internalized 26/11 –and changed their modus operandi. Worse, the ruling "parivar" is increasing the country's vulnerability by attacking its social fabric. Following Mumbai, the government of India came up with a slew of measures to deal with the new threat. The National Investigation Agency was created to investigate terrorism issues, four National Security Guard (NSG) hubs were set up for a rapid response to attacks. An amended Unlawful Activities (Prevention) Act was created to provide for the arrest and interrogation of terrorism suspects. One of the first outcomes of 26/11 was to get the Multi Agency Centre (MAC), an intelligence agency clearinghouse, in motion. Subsidiary MACS at the state level came up next. One of the major decisions of the government was to place the Indian Coast Guard under the Indian Navy, and make the latter the overall in-charge of maritime security, in coordination with the state government agencies and the marine police. A number of radars and automatic identification systems were later set up along the coast, as well as a command, control and coordination center in New Delhi to monitor the operations. But this system is full of holes. Many of the coastal police stations have yet to become functional. Besides the infrastructure of jetties, police stations and vessels, there is a problem of imbuing the personnel with a maritime culture. Getting the largely land-oriented policing system to think in a maritime fashion has not been easy. One of the major gaps in security relates to ports, especially the smaller ports and harbors of the country, most of which lack any kind of security cover. Even in the larger ports, little is being done to check the containers that pass through, as that requires specialized equipment. Perhaps the biggest problem in counter-terrorism has been the country's generally third-rate police system. The civil police are the first line of defense against terrorism, and often the first responder. But state police forces are grossly under-resourced and lack the organization, leadership and culture to play an effective role in counter-terrorism. Following the international outcry against the Mumbai strike and the wealth of evidence that became available on Pakistan's official complicity in the attack, terrorist groups in Pakistan had, with the backing of their patrons in the military establishment there, turned towards a new strategy towards India. Instead of indiscriminate attacks on civilians and non-combatants, strikes in the years after 26/11 began to focus on military and police targets between Jammu and Kathua along the National Highway. The social fabric of the country has held firm. Between September 2013 and July 2015, there were five attacks of a similar pattern. A small group of militants dressed in army fatigues crosses the international border which runs parallel to the National Highway, they hijack a bus or a car and head to a target, usually an army camp or police post. Many of these attacks were carefully timed to disrupt important meetings between Indian and Pakistani leaders. There is, unfortunately, another lesson that is being steadily unlearnt since those terrible days of 2008. From the 1980s onwards, terrorist attacks in India have been a largely Pakistani affair. They have been organized and aided by the Pakistani intelligence organizations and executed through proxies. The Pakistani effort has been as much to seek the breakup of India as to foster tension and divisions between Muslims and other communities in the country, presumably in order to incentivize the radicalization of young Muslims. These efforts have so far been a signal failure. All told, in three decades, there cannot be more than 300 Indian Muslims who have been accused of being hard-core jihadists; the number convicted is much smaller than that. This, in a population of some 170 million Muslims, and in a period when the high tide of Islamist radicalism swept the world, is statistically negligible. Despite terrible bomb blasts, orchestrated communal riots and mayhem, the social fabric of the country has held firm. In the past four years, however, Hindutva (Hindu nationalism) activists have unleashed verbal and physical attacks on the Muslim community using cow protection, Pakistan, or so-called "love jihad" as proxies. Muslims in India have not responded the way the Sangh wants, so the Hindutva fanatics are redoubling their efforts. Their end goal is to push Indian Muslims to the wall so that a section becomes militant.